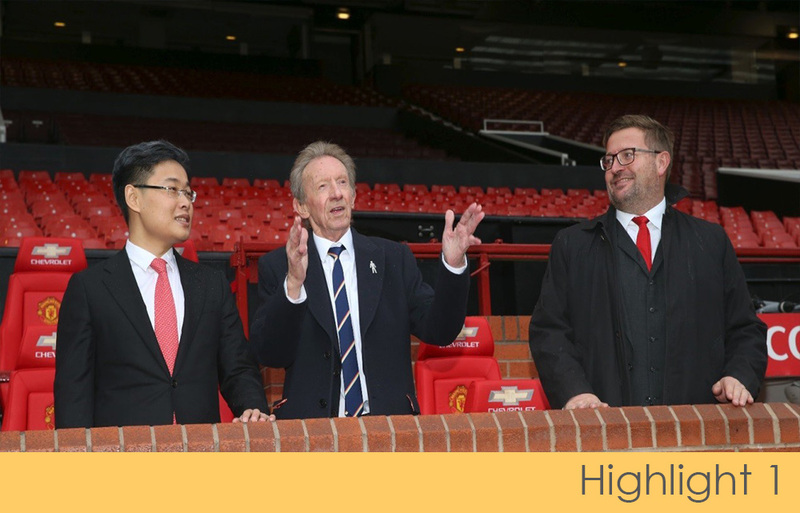 Manchester United launched the partnership with Harves, a leading Chinese real estate company. Manchester United will open a series of club-themed entertainment and experience centers throughout China. The centers are scheduled to open in Beijing, Shanghai and Shenyang by the end of 2020. They will use interactive attractions and exhibitions to bring the most exciting experiences of Manchester United Football Club and Old Trafford to China's hundreds of million fans. Giving Chinese fans a stage to share their feelings. Each Center will offer visitors a different experience and will include restaurants, along with a club retail store. The special friendship between Manchester United and China will deepen through the partnership. 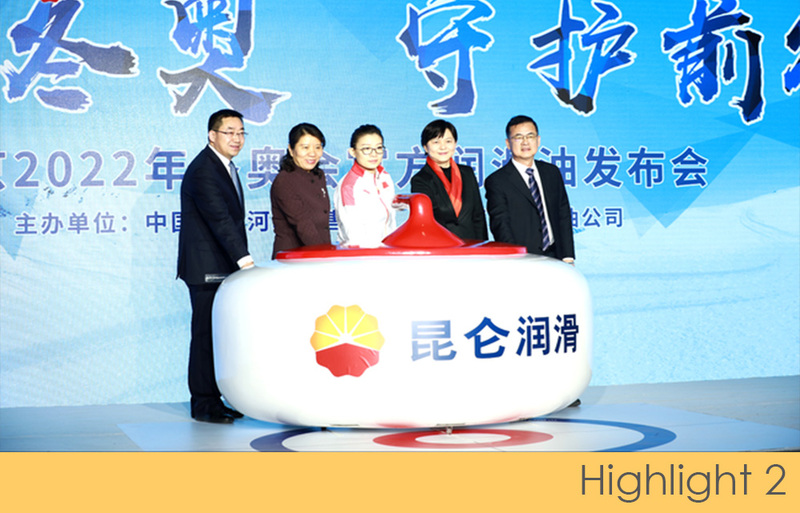 On January 10, Kunlun lubricant announced the cooperation of the Beijing 2022 Winter Olympics. Kunlun Lubricant has become the official lubricant of the 2022 Beijing Winter Olympics. At the same time, the Winter Olympics Guardian Plan was launched. Kunlun Lubricant is a subsidiary of China National Petroleum Corporation. It has a 60-year independent research and development process. It is a specialized company in research, development, production, sales and service of lubricants and greases. 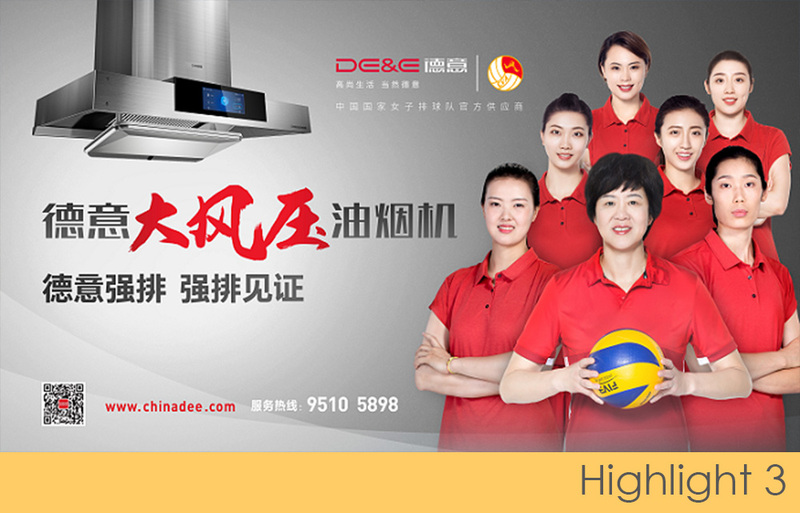 On January 10, the China National Women’s Volleyball Team signed up a new 3-year sponsorship agreement with DE&E, a leading Chinese kitchen appliances manufacturer. And DE&E becomes the Official Designated Supplier of the National Women’s Volleyball Team. The China National Women’s Volleyball Team is one of the strong team in the world. Not only has it won Olympic champions and World Cup champions many times, but it is also the inheritor of the women's volleyball spirit. Founded in 1998, DE&E is a leader in the Chinese kitchen appliance manufacturer. This cooperation shows the strength of the DE&E brand, and it is the signal that DE&E will pay more attention to sports marketing in 2019. The CBA All-Star Weekend kicked off in Qingdao on January 12-13. Migu, a digital content products and services company, presented a wonderful game broadcast through 4K and 50 frames of original painting live technology. Users can feel a clearer, more realistic feeling. At the same time, Migu invited a commentary lineup and produced a basketball-themed interactive live show. Migu is a China Mobile subsidiary. Its main businesses are product supply, operation and service in the digital content. Migu is the official partner of CBA. It deeply cultivates the Internet sports and upgrades the content to bring new experiences to users. 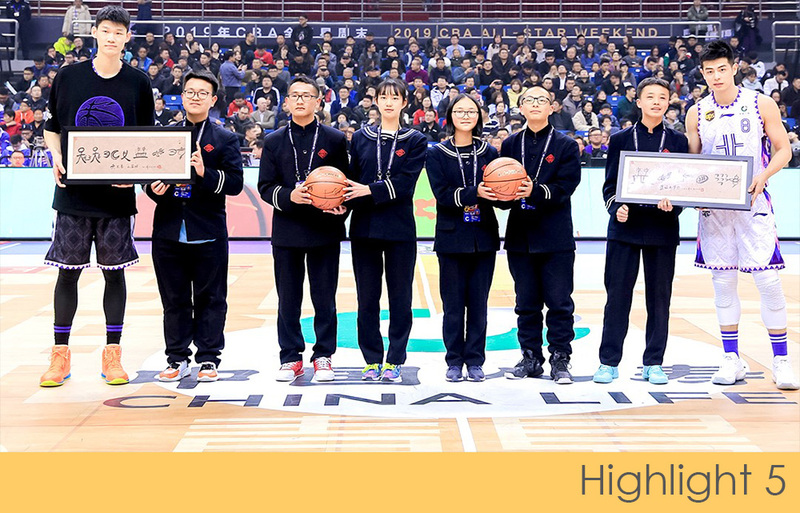 On January 13, the CBA All-Star Weekend competition was held in Qingdao. In addition to bringing games to the audience. CBA was also enthusiastic about charity events. CBA invited student representatives from Yunnan to attend the event. Student representatives were able to get in touch with their favorite players. Before the competition, the students and the players recorded a short video with the theme of Transfer Basketball Dreams. 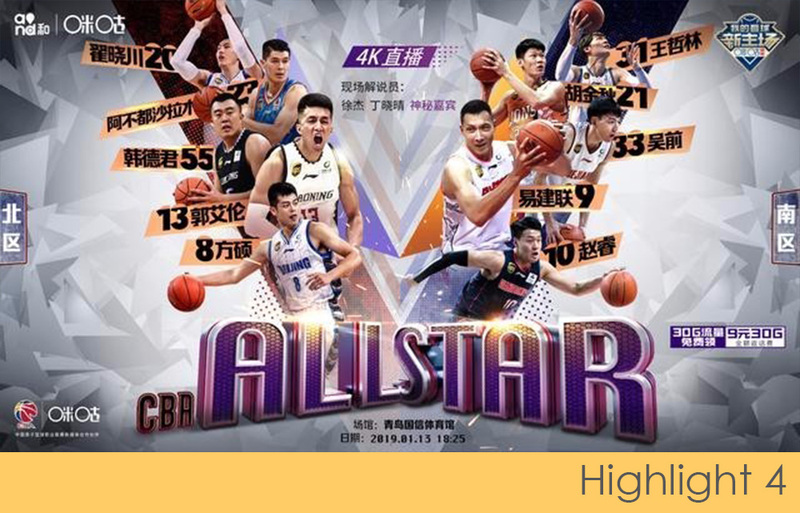 Fans can express their basketball dreams through interaction on Weibo and win 2019 CBA All-Star Weekend tickets. CBA hopes to convey a positive, healthy and progressive life style to these students and fans. 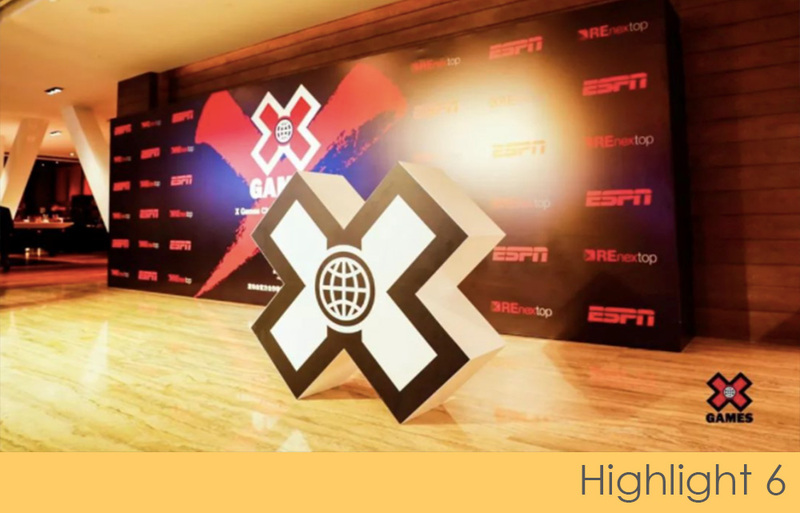 On January 10, REnextop, a leading extreme sports event company in China and ESPN officially announced a multi-year cooperation agreement on X Games (World Extreme Games) in 2019. REnextop officially becomes the exclusive operator of X Games China. It is the first time that summer and winter events of X Games will be held in the same country overseas in the past 25 years. The first event is scheduled to be held in Shanghai in May. At that time, countless extreme sports fans will be able to enjoy the high level extreme sports without going abroad. REnextop business includes athletes' agents, sports property development and operation, sports video production, sports e-commerce and operation of event venues. The 2019 League of Legends Professional League (LPL) will kick off the spring competition in Shanghai on January 14. 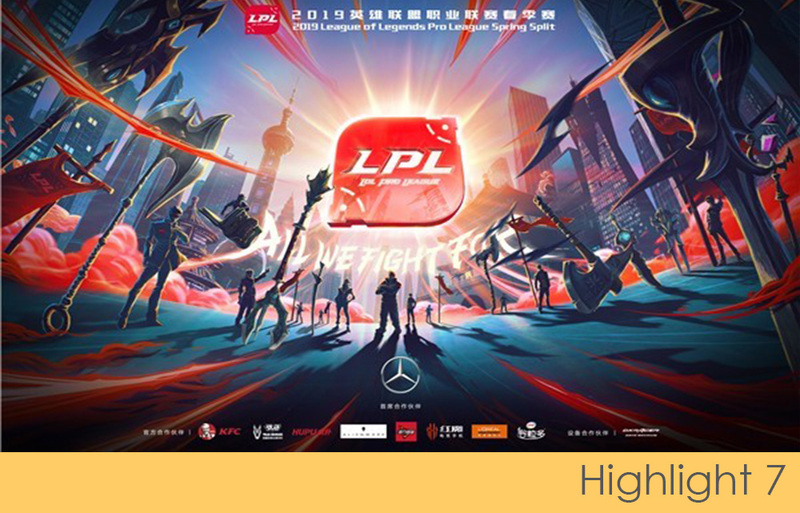 LPL has a wide influence in China, and it also represents the highest honor and competitive level of the domestic League of Legends e-sports event. In the 2019 season, LPL will partner with Mercedes-Benz, KFC, War Horse, Alienware, Doritos, Red Magic Mobile Phone, Yili, etc. LPL will launch a full-scale cooperation with these brands in all aspects to promote viewing experience. In the next two months of the spring regular season competition, 16 teams will chase the playoff qualification and the league championship.